Join Fraser Greig as he chats with politicians on local, regional, and national levels of the political spectrum! Here you'll find conversations with members of the Horizons Regional Council, Manawatu District Council, as well as members of Government - including Iain Lees-Galloway. Mayor Helen Worboys (MDC) - Recent events - CACTUS finale and the Kimbolton Sculpture Festival. The compliance status of the Wastewater Treatment Plant and a brief overview of the Wastewater treatment in Manawatu and how it will improve. The recent LGNZ Zone 3 meeting in Dannevirke and the importance of such meetings for rural councils. Iain Lees-Galloway MP - The appearance of the alleged Christchurch Mosque Gunman in court and the pace of gun law reform. Also big picture plans across other portfolios including Workplace relations (increase in minimum wage), ACC (reductions in levies) and Immigration (the skills gap). Iain Lees-Galloway MP - NZ's ongoing response to Christchurch atrocity on March 15th. Clarity on the Gun reform legislation and the steps that will occur after the initial changes. Palmerston North's celebration of diversity that is Festival of Cultures and it's successes, and the changes to the minimum wage coming into effect on Monday. Mayor Helen Worboys - MDC - March 15th and the Christchurch Terror attack, Citizenship ceremonies, The CACTUS finale, the $35 million Waste water treatment plant open day and Feilding Steam Rail Turntable overhaul and the fascination with steam trains! Cr. Duncan McCann (PNCC) - Fraser chats with Duncan about: The Digital and Technology Portfolio, Festival of Cultures over the weekend, the sister cities conference featuring delegations from our sister cities Missoula and Mihara, and a brief update on the annual plan. Iain Lees-Galloway MP - The first catch up with the MP for Palmerston North for a few weeks revisits the Ethkick tournament, discusses the recent attack on James Shaw and the security implications of such an event, clarifies the forecast residence figures, looks towards the meeting with local hospitality businesses where the ERA changes will soon be taking effect, and explores the opinion of our local MP on the students striking due to Climate Change. Mayor Helen Worboys (MDC) - NZ Rural Games, the LGNZ Rural and Provincial Meeting, the Community Development Strategy Update, the Localism Proposal, EQPB Priority Thoroughfares submissions and the CD Field Days and Agri Food Week. Cr. Karen Naylor (PNCC) - Karen responds to the reporting in local media regarding the SPG funding decisions, and talks about the Sports and Recreation Committee meeting on Monday. Topics include the Kawenata with Rangitaane to co-manage reserves and the Glass House venue proposal for Ashhurst domain. Also, we briefly look at the Annual budget draft and the proposed changes from the LTP version. Brent Barrett (PNCC) - Fraser catches up with Brent Barrett of the PNCC about: Accountability and Transparency (sparked by the Toyota news), the role of a city councillor as an advocate, and our City Partnership with Mihara in Japan. 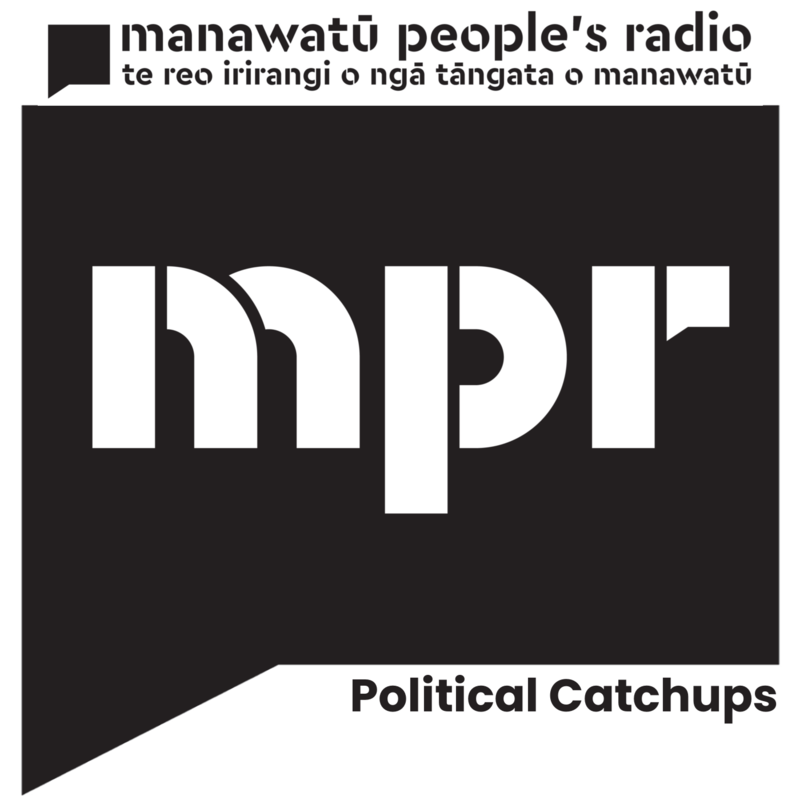 Rachel Bowen PNCC - Fraser catches up with Cr Rachel Bowen for the first Political Catchup focusing on PNCC this morning at 8:30am. They discuss yesterdays Economic Development Committee meeting, the state of our International Relations, Sculpture trust arrangements for the next 5 years and when the flying fox will return to Linklater Park! Iain Lees-Galloway MP - Fraser chats to Iain about: Kiwibuild, the first cabinet meeting of the year, the Fair Pay agreement process, his trip to visit RSE Employers in Blenheim and - obviously - gave him a chance to respond to Kate Hawkesby's criticism of his fashion choices. Iain Lees-Galloway MP - Fraser catches up with Iain about: Visit to Ratana Pa, The slow start to the Kiwi Build Initiative, looking to the year ahead for the Government. Cr. Rachel Bowen, PNCC - A korero mō tōrangapū o Papaieoia including the proposal to explore rates mitigation in the Finance and Performance committee, weather blighting the Christmas festivities in the city, the "Horses of Ashhurst" and "Bowling clubs" presentations to the Sport and Recreation committee and the year in review. Iain Lees-Galloway MP - This week's korero mō tōrangapū focused on this weeks developments in the Grace Millane murder, yesterdays launch of the Health and Safety strategy, the reclassification of synthetic drugs as Class A, and the request for increased discretion from Police when dealing with drug users, as well as the decreasing ACC levies. Cr. Adrian Broad (PNCC) - Fraser catches up with Adrian Broad of the PN City Council about: Agenda for the Economic Development Committee meeting held on 10th December, including Craig Nash's presentation on the $40 million Provincial Growth Fund investment locally, the contribution made by the Network of Skilled Migrants, The release of the October '18 Economic Report (featuring Housing monitoring, Highest growth in 35 years & Temporary Accommodation for workers building the Gorge alternative route) and the Sort It career's expo is a finalist in the local government events awards! Brent Barrett from the PNCC. Iain Lees-Galloway - Fraser catches up with Iain about: The on-going Karel Sroubek saga, Migrant exploitation research, Recognised Seasonal Employers scheme and Increases in government social housing. Cr. Brent Barret (PNCC) - NZDIA Forum at the Arena and the future of Waste minimisation. Rachel Bowen PNCC - Fraser catches up with PN City Councillor, Rachel Bowen, about: The weekend in review, Airport Board Fees, The proposed community garden in Awapuni, and the start of local history week.